with controlled play of the samples used throughout this Website. Find out more about Mark's Newest Release. 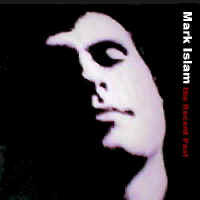 "Mark Islam's The Recent Past is a vibrant work from a compelling storyteller." "The routine and tortured sentimentality of country music is altogether eluded on The Recent Past... intimate and revealing." "The songs are peppered with intelligent, socially-conscious lyrics which are consistently interesting." "What Islam does most effectively, though, is paint little portraits of every day people in every day situations, yet manages to play up the fact that these everyday situations have a beauty & nobility all their own that are borne of, not despite, the ordinary." "Islam knows how to spin out stories, often of lonely people at the edges of society." "An engaging storyteller with an equally intoxicating voice....."